Was introduced in India at the 2014 Auto Expo. MAW Enterprises, the authorized distributor of Yamaha two-wheelers in Nepal, are showcasing the Yamaha Alpha scooter at the 2014 Nepal Auto Show (NADA 2014). The Alpha launched in Nepal last month at a price of NPR 169,900 (INR 1.05 lakhs). The Alpha competes with segment leader Honda Activa. The scooter is covered with two years of warranty and gets eight free services. It is offered in Graceful Grey, Magical Magenta, Brilliant Black, Radiant White and Fiery Red body colours. 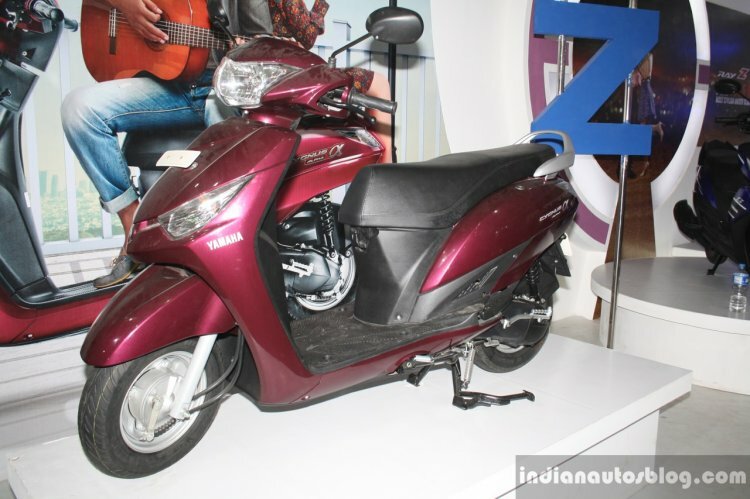 The Alpha premiered at the Auto Expo this year, and goes up against the 110 cc segment leader, the Honda Activa. Power for the Alpha comes from an air-cooled, single-cylinder 113 cc engine which produces 7.1 PS (7 bhp) at 7,500 rpm and 8.1 Nm of torque at 5,000 rpm. 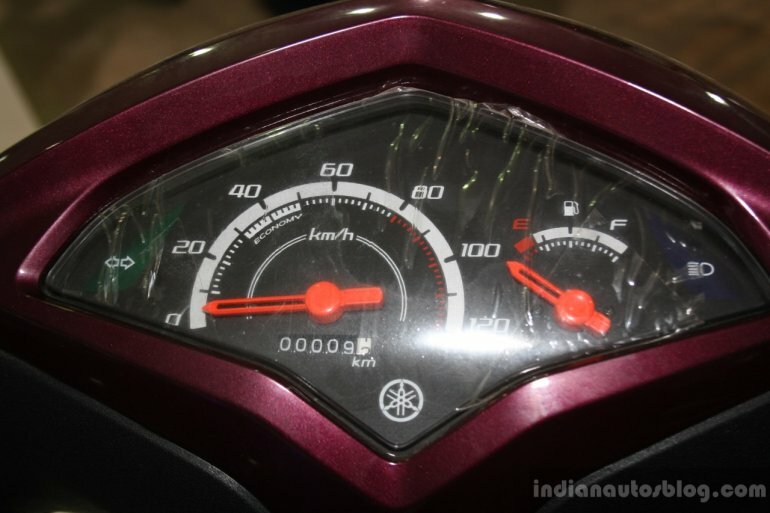 Yamaha claims an efficiency of 62 km/l for the Alpha. The transmission used is a V-Belt type automatic. The scooter measures 1,795 mm in length, 675 mm in width, 1,124 mm in height and has a wheelbase of 1,270 mm. It has a ground clearance of 128 mm and a kerb weight of 104 kg while the fuel tank has a capacity of 5.2 liters. MAW expects to sell 1,000 units of the Alpha in the first year of its launch. 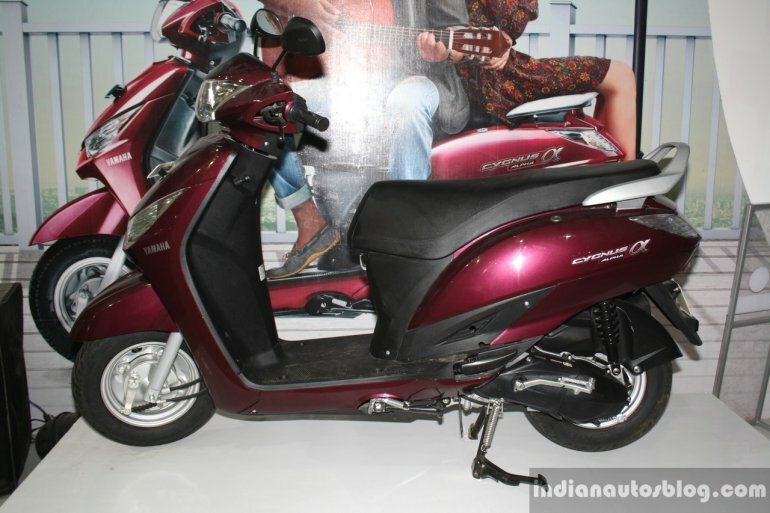 More details about the scooter are available in the press release (issued for its Indian launch) below.